What can you do in five days? That’s the question I asked when my employers announced a five-day Eid holiday this year. 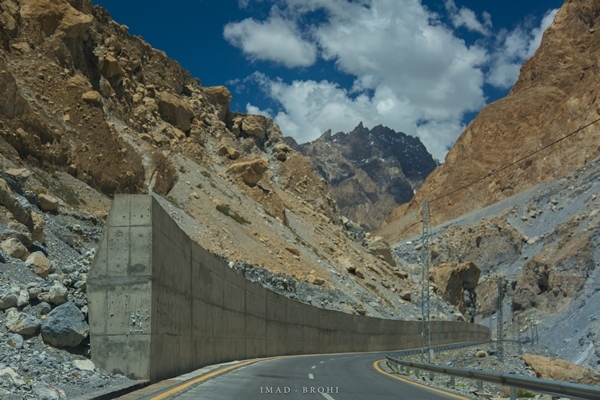 With Eid conveniently falling in June, it was an excellent opportunity to explore the mighty Karakoram Highway. 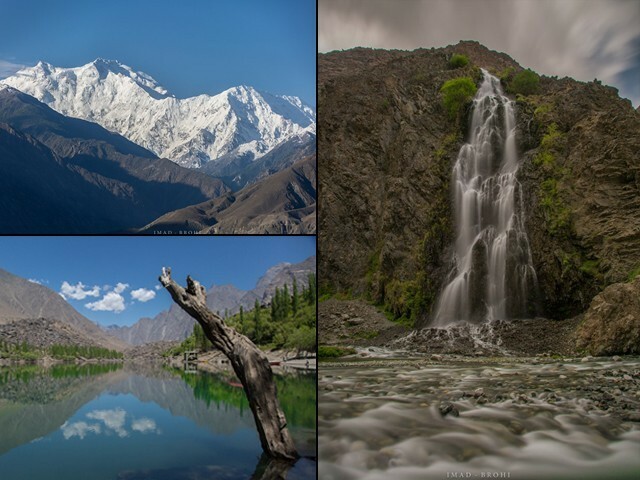 I booked the tour with Karakoram Tours Pakistan, and landed in Islamabad one fine morning for the journey to begin. 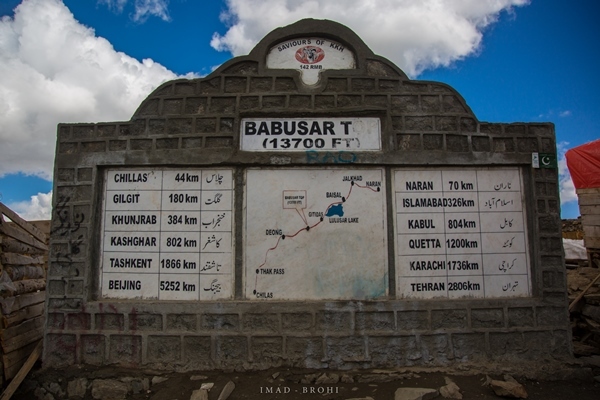 Upon exiting the airport, I met my guide Mohammad Bashir, a polite Balti man from Skardu, and we began our journey immediately. 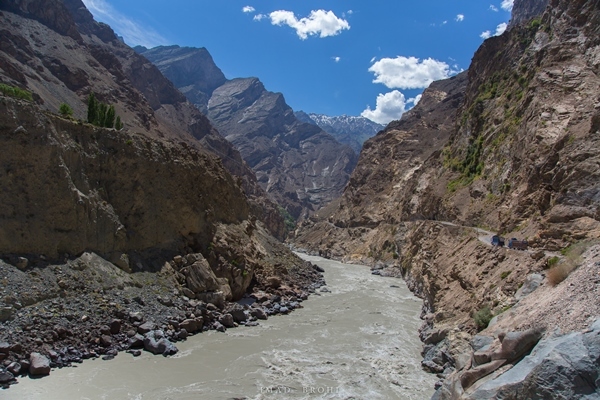 In this blog, I will take you through one of the highest mountain ranges in the world – the Karakoram – on the engineering marvel known as the Karakoram Highway. 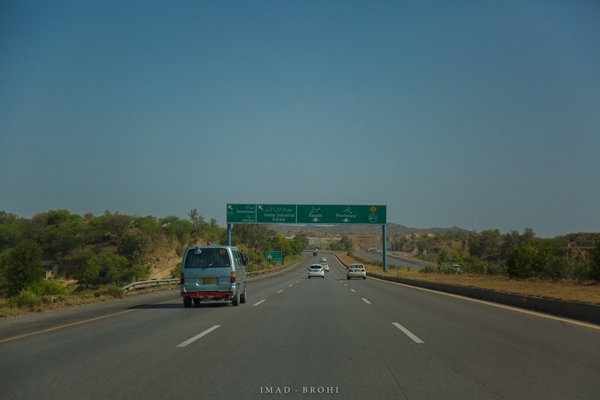 The first few hours were nothing extraordinary – plain greens of greater Islamabad. 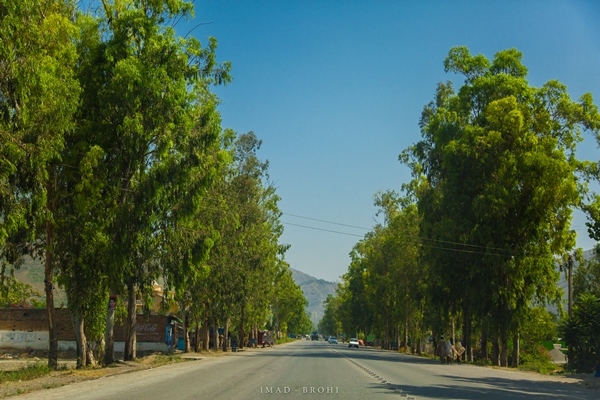 We passed Hawelian and Abbottabad along the way, but the real fun started after Balakot. 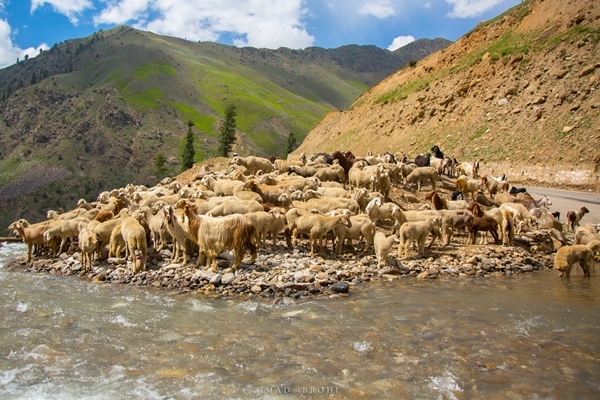 The route ascends steeply following River Kunhar, as the mountains get higher and greener. We reached Naran at roughly 3:00pm and pushed for Raikot, which is another three hours from Naran. 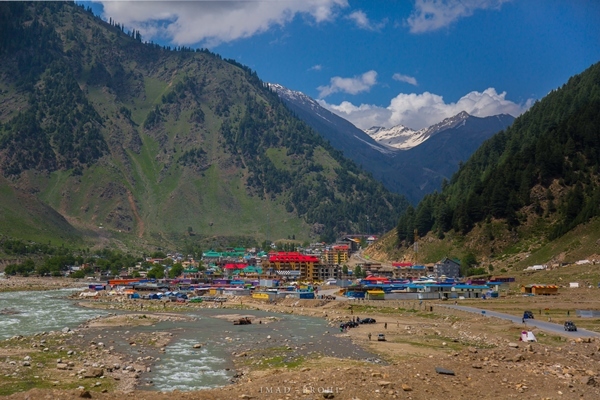 If you have the time, I would recommend staying in Naran and exploring the beautiful Lake Saiful Mulook there. 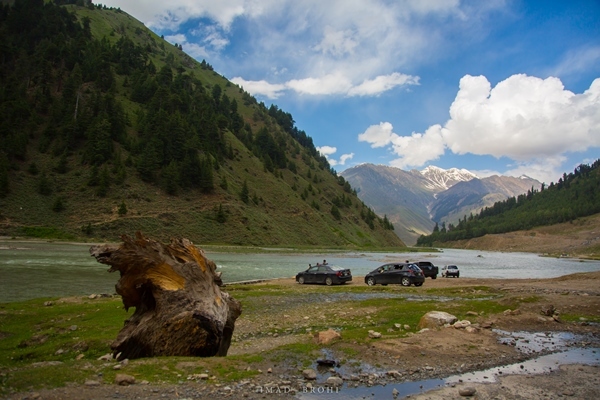 Half an hour – some 60 kilometres – from Naran lies the beautiful Lulusar Lake. 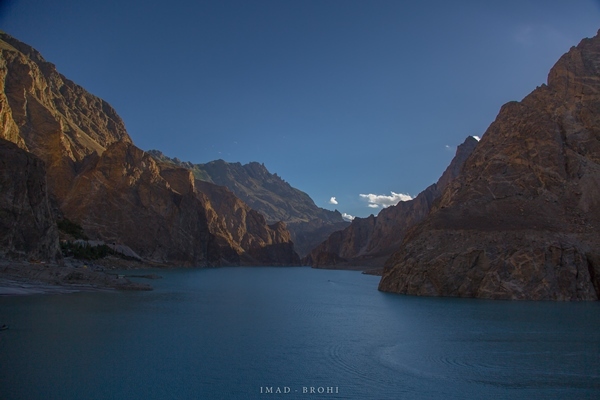 The lake is visible from the road and is the source of River Kunhar. 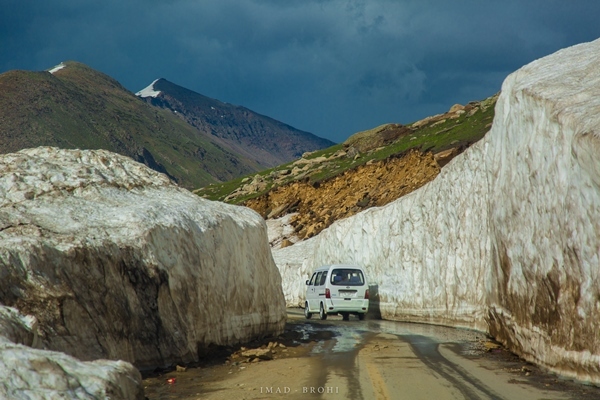 After the lake, the road continued its steep ascent passing through glacial spurs, until we reached the Babusar Pass at 4:25 pm. 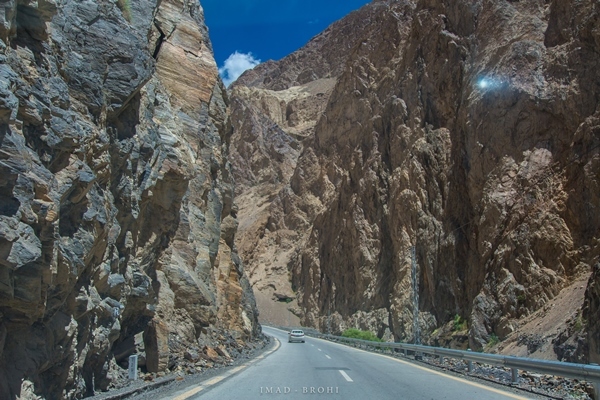 The pass lies at 3,900 metres and connects the provinces of Khyber Pakhtunkhwa (K-P) and Gilgit-Baltistan (G-B). The sudden increase of elevation is likely to bring on headaches and feelings of dizziness. 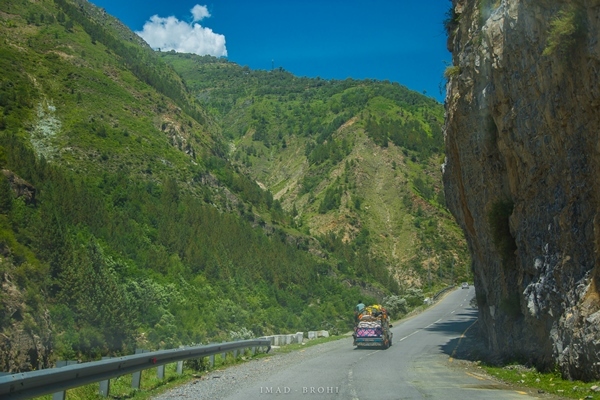 As the road descends again, the mountain scenery completely changes, with fewer greens on this side of the pass. 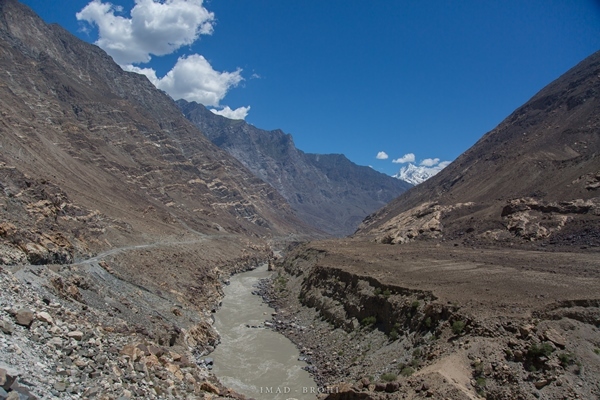 The road follows the Thak Gah stream until it reaches a T-junction where the stream connects with River Indus. 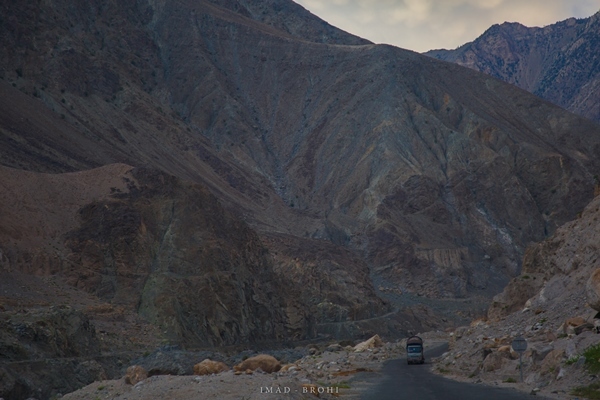 From the junction, the route heads east to Chilas and west to Raikot. 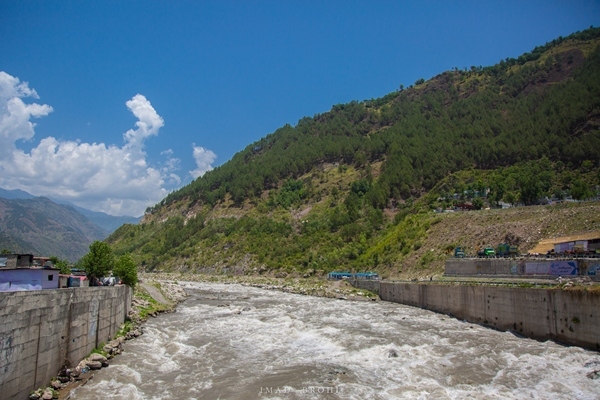 We reached Raikot at around 6:30pm, which is a popular junction for those travelling to see Fairy Meadows or Nanga Parbat. We stayed overnight, with the only other tourists being a young couple from Japan. 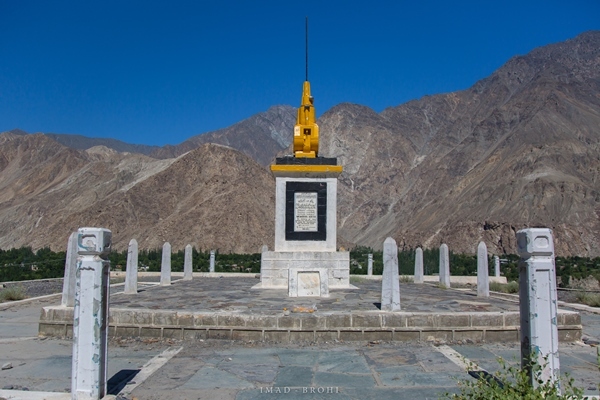 The next day we left early in the morning for Khunjerab, which was 330 kilometres away. 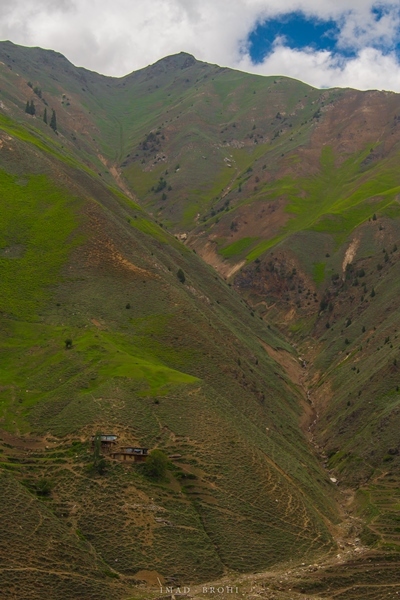 However, the road from Raikot is in very good condition. Just 30 minutes from Raikot, you can see Nanga Parbat in the background. 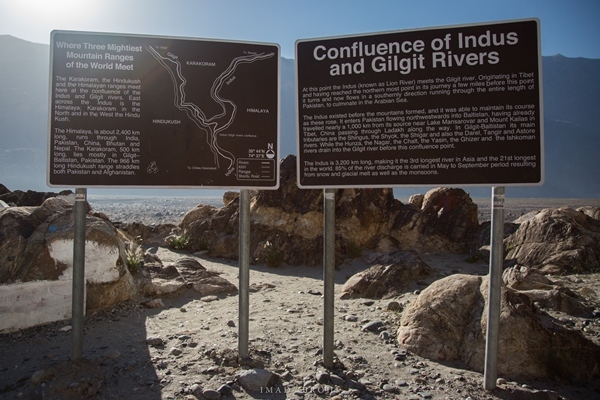 Roughly 35 kilometres from Raikot is the confluence of the Indus and Gilgit rivers. 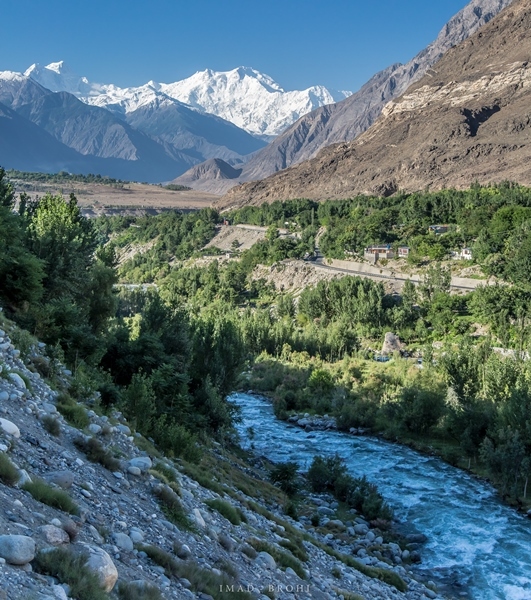 It is where three of the greatest mountain ranges meet: Hindu Kush on the left, Karakoram in the center and the Himalayas on the right. 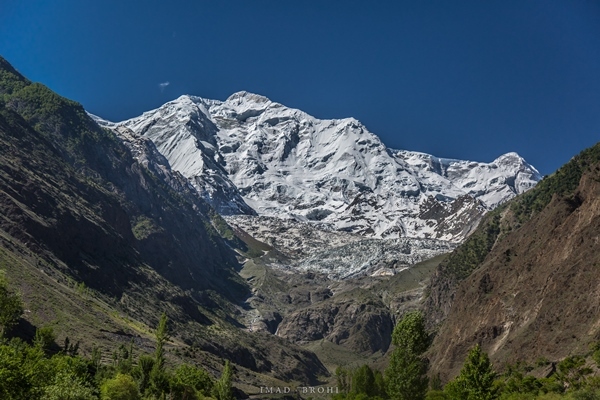 Over a 100 kilometres from Raikot, the 7,788 metres high Rakaposhi – another popular mountain – is visible from the highway. 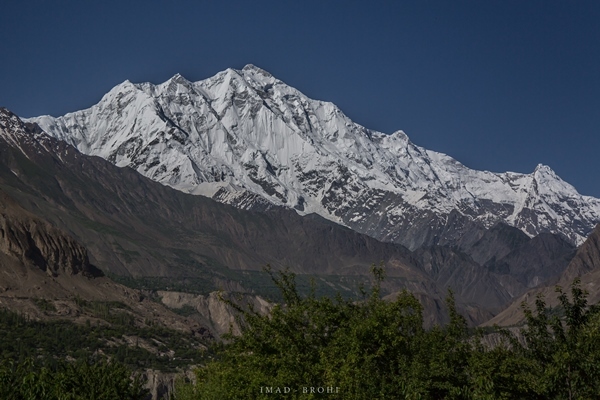 After a brief stop, we continued our journey, passing Hunza and enjoying the view of the Hisper Mountain. We reached Attabad at 10:00am. 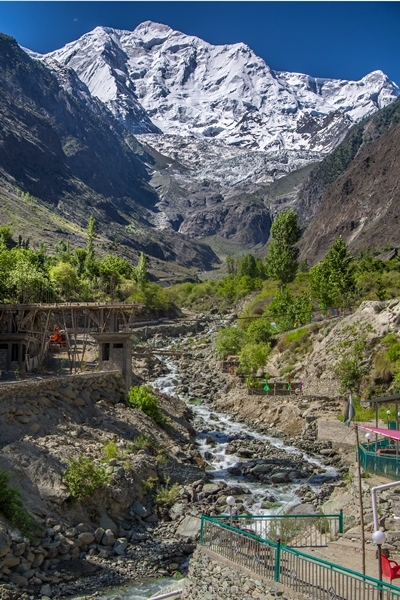 In January 2010, a massive landslide blocked the flow of River Hunza, causing a lake to form. 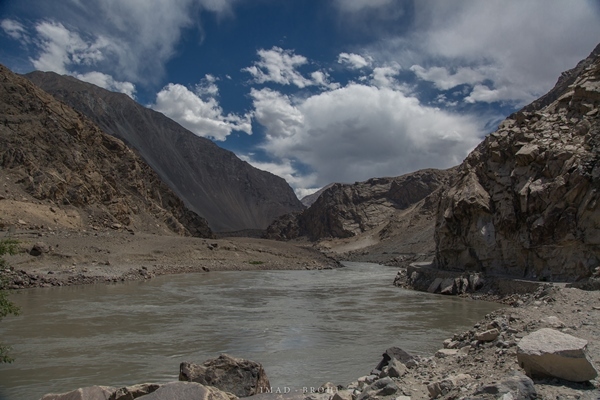 The subsequent lake submerged several villages and parts of the Karakoram Highway, displacing thousands of people. Initially, boats were used for transport across the lake, but the highway was eventually realigned and tunnels were built high up on the slopes of the mountain. The same boats are available for rent now. 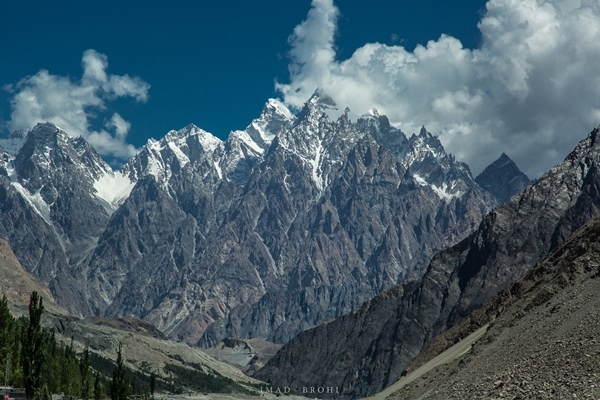 Passu lies 25 kilometres from Attabad, and is home to the beautiful Passu Cones. 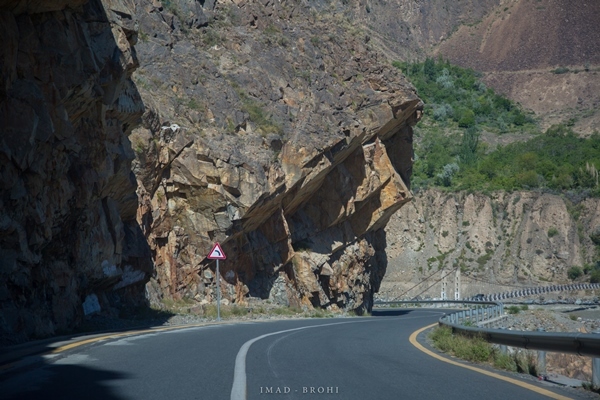 These stacks of triangular rocks form a mountain range roughly 6,000 metres in elevation, and are easily visible from the highway. We stopped by at several places to view them at different angles. 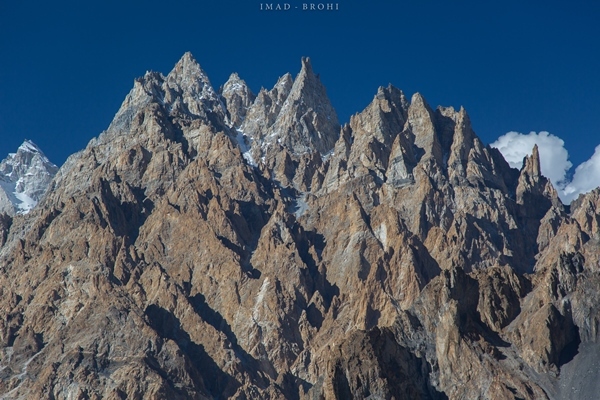 Tourists can stay in Passu and also visit the Batura Glacier, which is nearby. 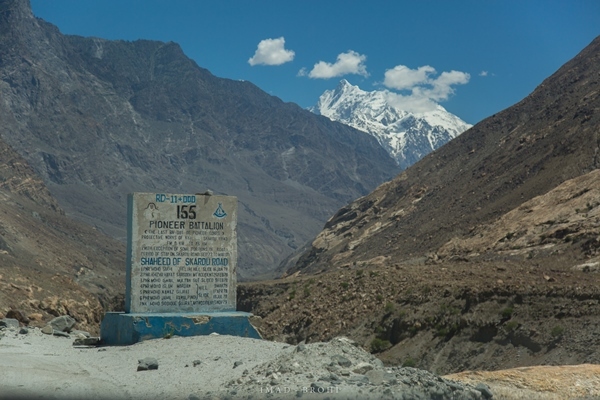 Forty kilometres from Passu lies Sost, a major trade hub between Pakistan and China. 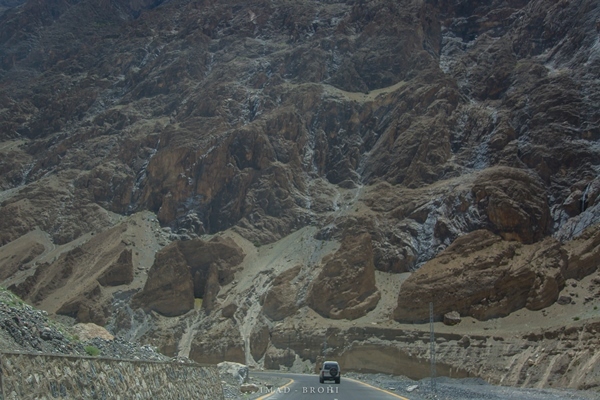 After Passu, the route passes through what appears as canyons, with the highway cut between massive mountainous walls. 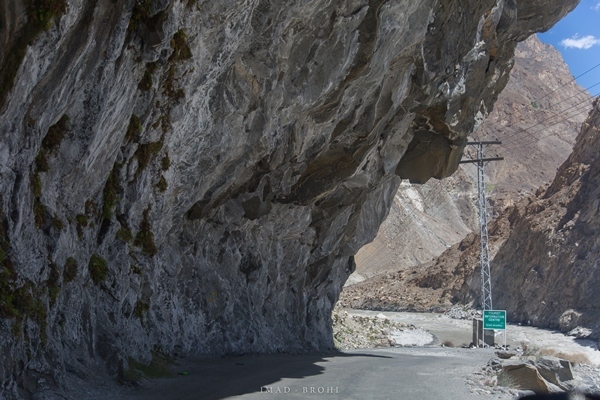 It truly is a remarkable example of nature’s strength (Karakoram Range) versus man’s ingenuity and perseverance (the Karakoram Highway). 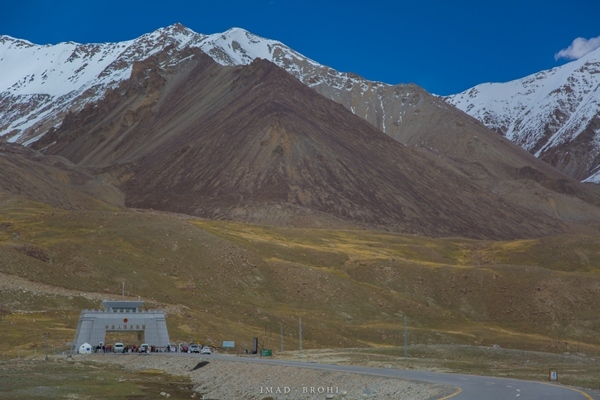 A security check post and a park entrance office marks the beginning of the Khunjerab National Park, the first national park built in G-B and home to precious wildlife, including the snow leopard, Marco Polo sheep, the brown bear and ibex. 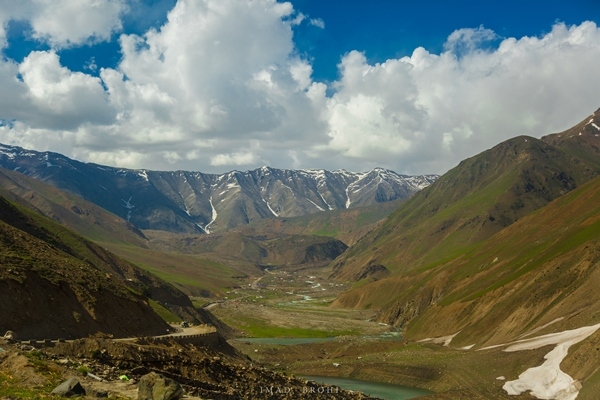 The national park also resides at the Khunjerab Pass, the Pakistan-China border. 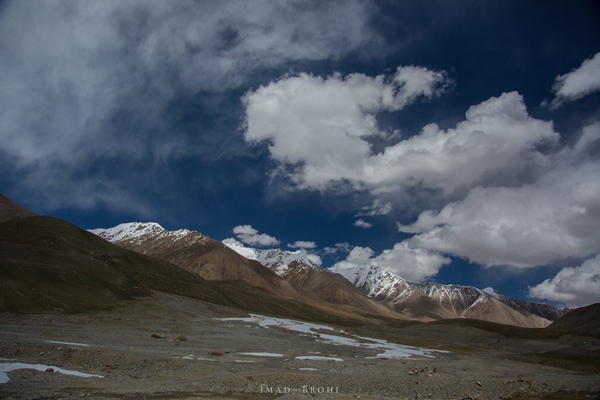 Once in Khunjerab, there lies sand near the mountains and you can feel the sky appearing much darker than usual. 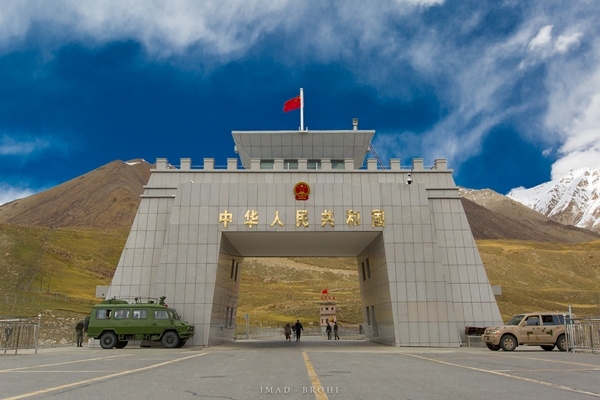 At the border lies the Pak-China border monument, where Pakistani and Chinese military officers as well as visitors from across border were seen exchanging jokes. It truly was a heart-warming experience; a signature of true friendship between two great countries. 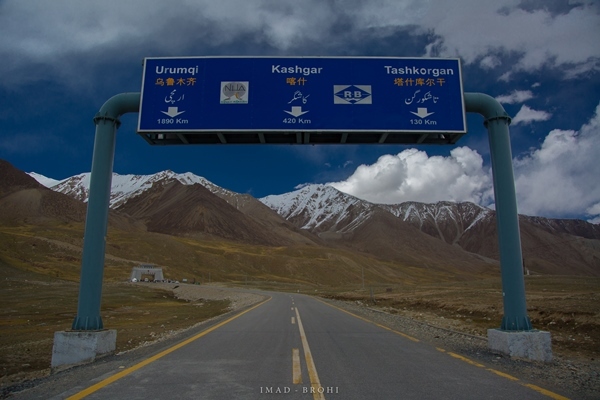 At Khunjerab Pass, which is at 4,700 metres, we were now at the highest paved highway in the world. 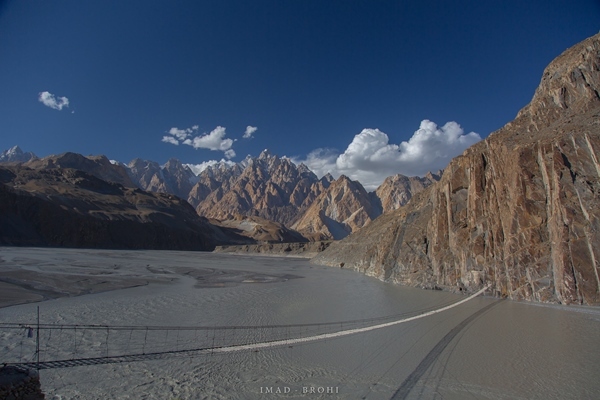 After Khunjerab, we returned to spend the night in Hunza, stopping in Passu to visit the popular Hussaini Bridge. 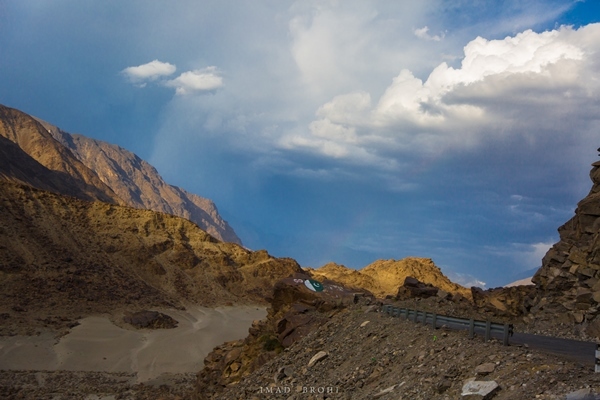 We arrived at Hunza at 6:30pm, after travelling some 200 kilometres from the border. 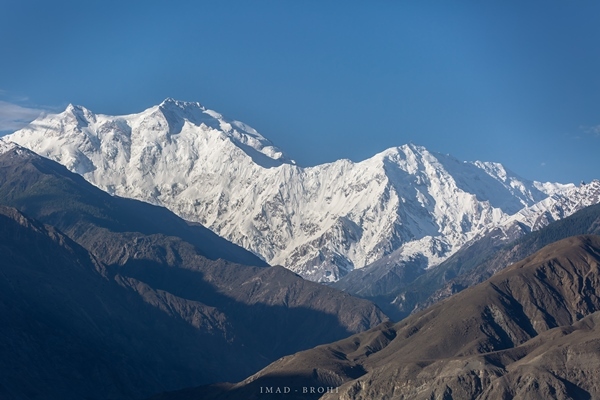 In Hunza, we made a quick stop at Eagle’s nest, a viewpoint from the top of Hunza. Hunza reminded me of the Namche Bazar in Nepal. There are several hotels, cafes, restaurants and souvenir shops to enjoy. There are also two forts, Altit Fort and Baltit Fort, which we wanted to visit but couldn’t due to time restrictions. 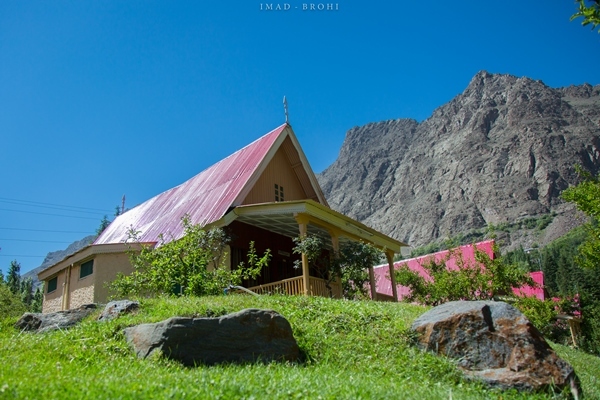 I would recommend one to spend at least two to three days in Hunza to experience this beautiful town. 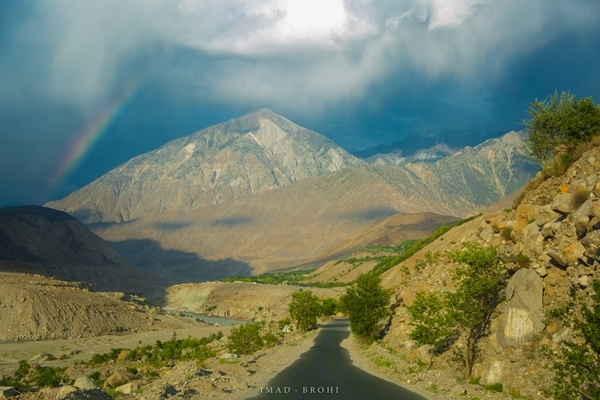 On day three we left for Skardu early in the morning. The 300-kilometre distance takes around eight to 10 hours to complete, due to poor road conditions. 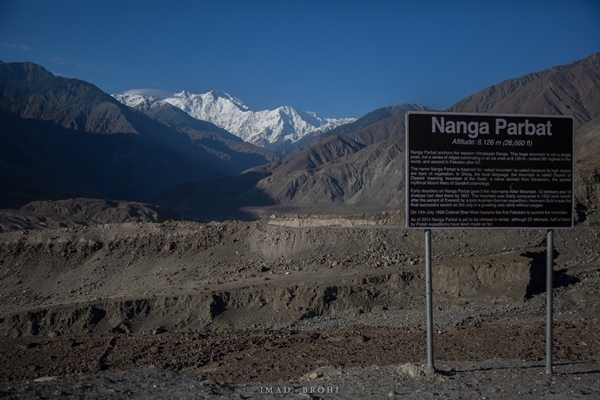 After hitting the Karakoram Highway, the route heads east passing Sikandarabad, and then turns south near Nagar. It’s a single road, heavily deteriorated in places. 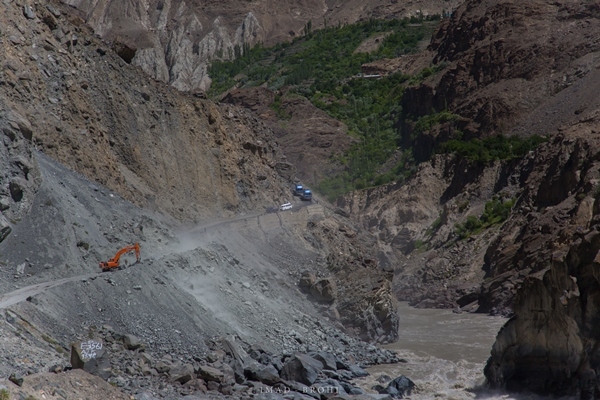 We lost a good 45 minutes in Malupa to clear a landslide, finally reaching Kachura, near Skardu, and it took us 10 hours to cover these 285 kilometres. 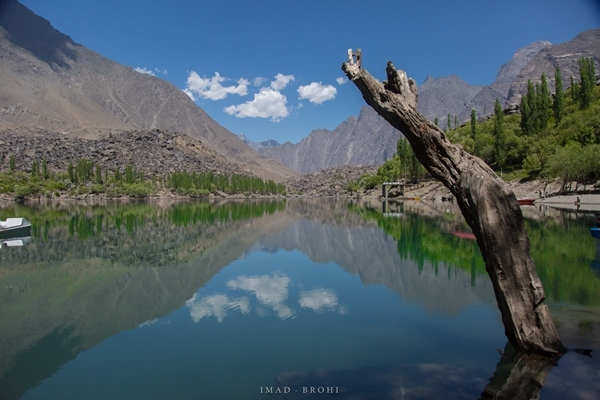 We spent a day exploring Skardu, starting by visiting the Upper and Lower Kachura Lakes. Lower Kachura Lake is popular due to the Shangrila Hotel built there. If you are not staying at the lake, then a nominal fee will get you near it. 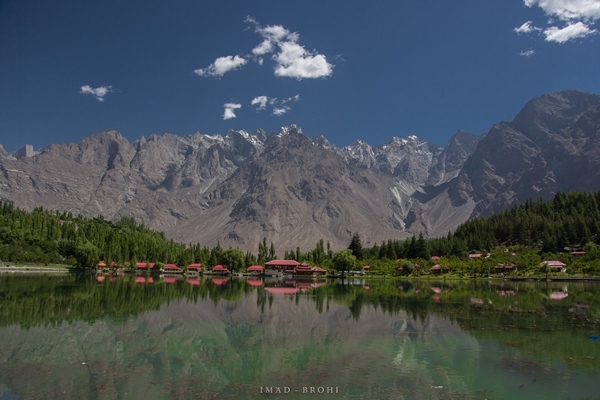 The lake’s beauty lies in its location, with the mountains of Skardu in the backdrop. For a more remote setting, I would recommend the Upper Kachura Lake, which is roughly seven kilometres from the Lower Kachura Lake. There is a guesthouse and a cabin built up there for travellers to stay in. After the two Kachura lakes, we drove to Kharmang, where we enjoyed the very scenic Manthoka Waterfall. 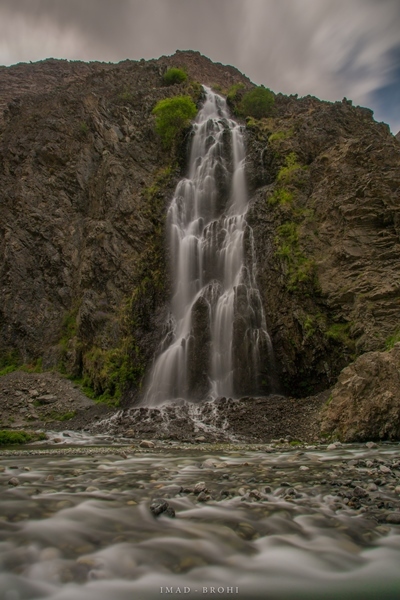 There is a clear stream of cold, fresh water running and you can enjoy some tea or snacks with the pleasure of viewing the abshar (waterfall). We reached our Pakistan Tourism Development Corporation (PTDC) motel at around 5:00pm, ending this most wonderful road trip. 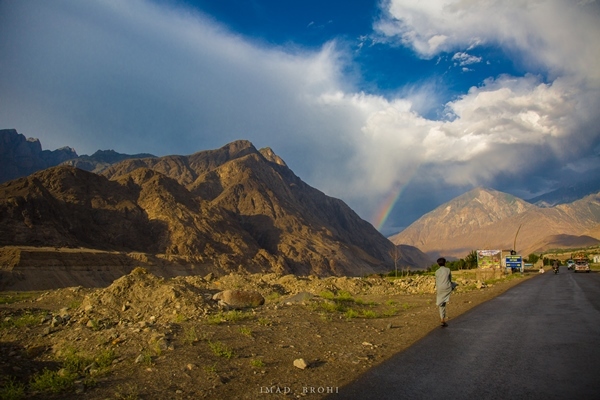 I have experienced many road trips, including the Middle East and North America, but the trip along the Karakoram Highway is unparalleled in its raw beauty. You can follow the journey here. 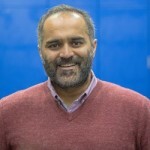 Really great article which is helpful to the tourists want to have a trip of theses areas. Very many. The line forms at Gwadar. Too bad your new master Big Yellow, the bigot, racist, white supremacist, does not want you to do business with Iran. He reimposed sanctions again. By the way he calls Hindus dotheads. Among other derogatory things. Ya’ll graduated from the British Raj to now being American peons. There goes Chabahar port, and the nearly 1 billion dollars USD Modi Sarkar invested there.